When God created mankind, He wanted a few things to happen. He expected to walk in the Garden of Eden with Adam and Eve every day and talk with them on a regular basis (Genesis 3:8). He intended for them to be rulers over the earth (Genesis 1:26-28). He intended for them to always have more than they needed to be happy and He wanted to have every one of their needs always met (Genesis 2:16). When sin came into the picture, all of those things changed. Adam and Eve chose their own way rather than obeying God. They chose to eat from the only tree that God told them to leave alone (Genesis 2:17; 3:6). As a result, rather than walking and talking with God every day, they became afraid and hid themselves (Genesis 3:8). 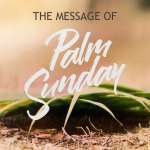 Rather than ruling over the earth, the circumstances of life began to rule over them (Genesis 3:16-19). Instead of having everything they needed, they had to work hard just to get by. Instead of being happy, they began to experience depression. Instead of being healthy, they began suffering. Adam and Eve died spiritually. Spiritual death meant that the relationship that God wanted them to have with Him was completely broken and they lost all the good things that went along with it. They lost life itself. What this means is that we were born into sin. Mankind didn’t start out good and one day decide to do something wrong. We started out wrong. That includes all of us. It was never a matter of what we did. The problem was what we were. We were born a sinner. And because of this nature of sin, mankind could not have the fellowship with God that He always wanted to have. Spiritual death means being separated from God. Since He is life, being separated from Him means being cut off from the life that God had planned for us. That is really what hell is all about, being separated from God forever ­ and from the joy and sense of fulfillment that God gives. It is not punishment so much as it is isolation from what we most need in order to have life. Without that Godly contact with life, people are miserable. Fortunately for us God wasn't about to just let the situation go. He made plans to provide restoration. If sin required death (Romans 6:23), then someone had to die. That’s where Jesus came into the picture. He was born to a virgin mother with blood not made of this earth so that He would not inherit the sinful nature of Adam. He lived as a perfect human being even though He was God (Philippians 2:5-8). He was the complete expression of what God had in mind. 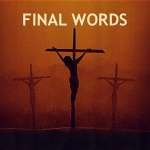 When Jesus died on the cross He took upon Himself all the sin of mankind. Since He was perfect, He didn't have to die for His own sin but He chose to die anyway so that we wouldn’t have to. He became sin (2 Corinthians 5:21). By doing that, Jesus gave us a choice to accept God’s plan of salvation and eternity in heaven, or to do our own thing in life, and experience eternity in hell. By choosing to accept God’s plan we suddenly have new spiritual life. We become connected to God rather than separated. This birth of new life is what the Bible calls being "born again." Because being born again involves reconnecting to God, salvation becomes much more than just escaping from hell. It means that you are connected to the source of life and the provider of all blessings. As a Christian you now have access to the same things that Adam and Eve had before they sinned. Once again you can walk with God everyday and rule over your circumstances by taking hold of the promises in the Bible God has reserved for believers. You can live in abundant provision by obeying God’s Word. It doesn't mean you won’t run into obstacles along the way. There are always challenges - building your business, raising and training your children - but that is part of what makes life interesting. There are obstacles, but salvation means that you will have all the power of God at your disposal to deal with whatever situation or obstacle life throws at you. And above all, you will be connected to the one who gives joy, happiness and fulfillment - right now, in this life. The word in the Old Testament for salvation is yasha. It means to come from a narrow confined place out into a wide open space where there is abundance and freedom. Salvation doesn't mean just getting out of hell. It means living in the best God has for you, just like before sin came into the picture. You can experience those good things by learning the promises of God and beginning to appropriate them for your life.